Identification is quite important for every business or organization because it is one way of promoting safety and security. This is one of the top priorities of any establishment or group, to keep all the members and employees safe and secure all the time. And with the advancement of technology, this has been made possible. In fact, through the modern technology that we have nowadays, identification badge systems have been improved and became more efficient and convenient for everyone. An impresora de credenciales is a necessity for any identification badge system. This type of printer provides plastic PVC badges or cards that are utilized for identification schemes. A badge printer comes in different kinds. A business or an organization may choose from the variety of styles, sizes, and even the capacity to print depending on how big the group is. Large companies usually get high-quality badge printers to accommodate the different departments in their establishments, while the average-sized organizations take the simpler forms. In choosing a badge printer, one must consider the number of employees that are working for the company. The greater the number is, the more is the need for a high-quality printer. This is to ensure that the badge printer is efficient enough to sustain the demand for badges or cards. What can a Badge Printer do? A badge printer produces the end product of an identification badge system which is the badge or the id card. Depending on the type of the printer, it may produce a badge with a photo, the name of the employee, position or designation, as well as the department where he or she belongs. Usually at the back of the badge, the secondary information of the member are printed. Some badge printers can even create badges with smart chip technology and bar codes or magnetic stripes that can not be tampered. Therefore, it can not be easily reproduced. Hence, it provides a higher level of safety and security to all the employees. Who needs a Badge Printer? Nowadays, most of the business establishments and organizations are using an identification badge system. A badge printer can be used by any facilities like schools, hospitals, offices, and many more. This is also often utilized in areas where sensitive information or data is kept. The activity of anyone who is wearing a badge can be easily tracked. 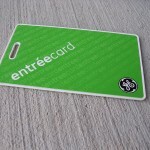 Once the card is swiped to enter a specific area in a building, the entry will be recorded. Badges can be used to monitor attendance too.